According to a recent survey conducted by StarProperty.my. All home buyers and investor alike, the most sought after criteria in the purchase of properties is G&G, follow by proximity or distance travel to work place and third is a good neighbourhood. While G&G properties continuously promise a much higher return than those non G&G, its popularity continue to fuel the demand. In view of this, many developers are too eager to push for a “half-cooked” G&G scheme on non strata title development just to fetch higher selling price and to grab a lucrative market share. In most instances, soon after the keys are handover, residents or home owners begin to realise that G&G is the duty of the residents themselves and the task ahead is enormously tedious and complicated. Thus our RA was formed and commissioned dedicatedly to sail through the entire process of bureaucracy in getting series of approvals from the local authority. Surely this has enhanced the property’s value, gained higher security confidence level and envious exclusivity from a legalized or Majlis approved and well-managed Gated and Guarded Community Scheme. Over the last 2 years, the RA had spent over 60K on security hardware and equipments such as motorized boom gates, lighting, CCTV and card access system. Over 25K on utility connection fees, application processing fees, engagement of plan submission consultant, various license fees and deposits. Not to left out countless or perhaps thousands of voluntary working hours by a hand full of passionate but inexperienced committee members starting from scratch, began by calling meeting, seeking referendum, getting signatures, collecting funds, setting policy, dealing and writing to all the relevant departments. Going through all the invaluable hard work, facing distress, setback and even frustration at times of helplessness to bring about the changes of residents mind set from conventional taman/kampung folks to a newly established G&G community living style. With the hiring of 24 hour round the clock security guards at check-point and hourly patrol service within our boundary, routine maintenance to the perimeter fencing and up keeping of the security installation. It cost the residents about 10K per month to keep the G&G scheme in placed and to remain functionable. Append herewith exhibits of documentation compliant to the local authority for granting the approval to our G&G community scheme. Security coverage and Demarcation of perimeter fencing under 8A maintenance. My name is Cecilia , Secretary of The Lake Residence RA. Like many other Resident Association committee, we are currently struggling to have our residential certify as a G&G community. After much research and rounds of meetings with MPS, I came across your blog which to date found most useful. However, there were few documents which you’ve attached cannot be viewed. I would, if you are available & willing, for us to meet so that we could seek further advise or rather consultation from your good self in resolving this initiative. I can be contacted at xxxxxxxxxx. Would much appreciate if we could hear from you soon. My name is Benjamin and I’m the Assitant Secretary of Persatuan Penduduk Setia Indah 11, Setia Alam, Shah Alam. Firstly I want to congratulate you and your committee for doing such an excellent work and being able to successfully implement a fully gated and guarded scheme. I stumbled across the TPP website when I was looking for some information. I read all your stories and have been very encouraged. 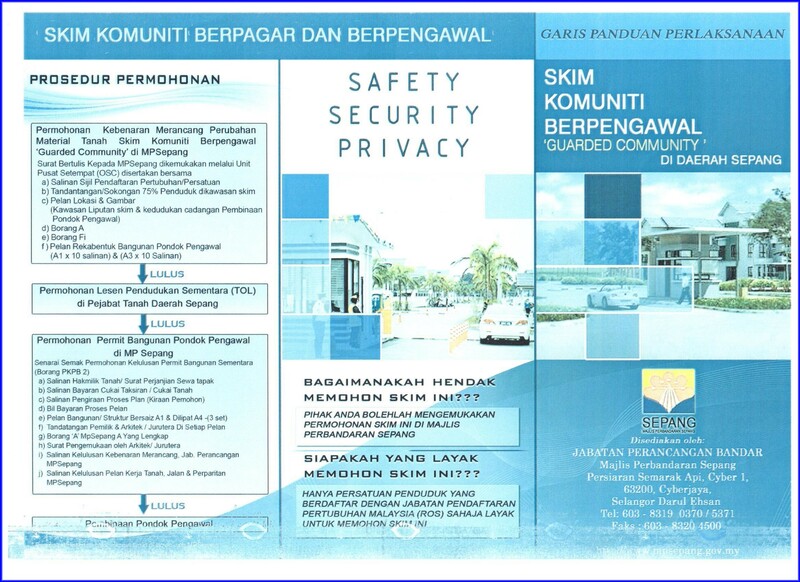 Just to let your know, our developer SP Setia has built partial fence for us and also included a guardhouse. Once their free security was over last year in September, a RA was formed and we needed to look into the hiring of the security services provider. We have around 801 houses in our taman. One exit and one entry point. To be honest, we have been quite blessed in that sense. I truly admire the way you all went all the way starting from scratch to implement the G&G scheme. My hats of to u guys! We are now moving up a gear. Currently we have manual boom gates. We intend to upgrade to the automatic once etc etc. I was wondering if we could have the honour of meeting you in person one of these days just so that you can share the struggles you all faced and how did u all successfully manage to implement the G&G system. We have pretty much faced the same issues that I read on your website. Thankfully, the committee here is strong and we have had many residents here who have been very supportive of our efforts. Do let me know if you would be available to meet for a casual chat over tea with our committee members. 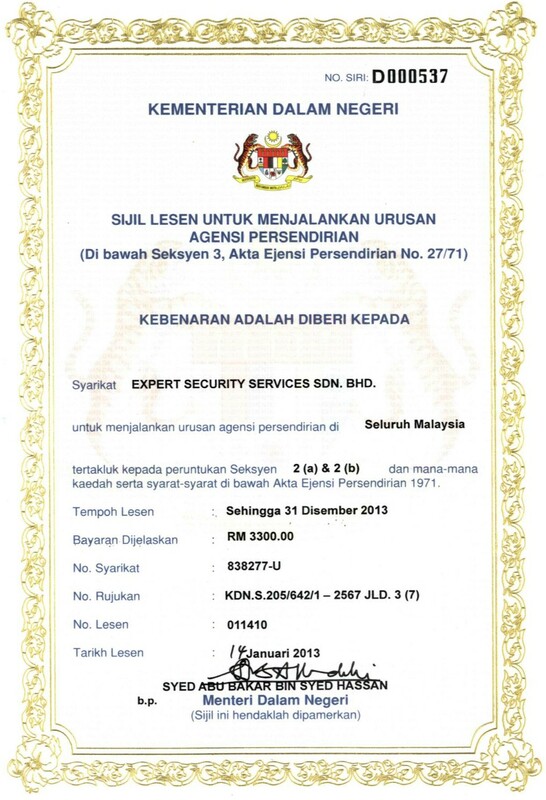 May I know the putra prima 8a is currently a legalized G&G status? Does it meaning that we are currently having a legal G&G status? Thousand of thanks to all members who have put effort to lead us toward the G&G status. Oops, forget to state that I am new home-owner at Putra Prima 8A, nice to meet you all! Though we have got all the necessary documentations from the local authority, equipped fully with sophisticated security installation and currently over 97% of residents subscribing to our G&G community scheme, however the security perforation at our playground still remained unresolved. Unfortunately, many including the policy makers, administrators and community leaders still do not see the rational behind the fundamentals of G & G scheme. The whole process of putting up the boom gates and guard house is not only tedious, but also time-consuming and energy-sapping. No ordinary sensible folks will have volunteered themselves for this unrewarding task if not for the burning desire to complement police efforts in reducing crime. No doubt the police have been successful in combating crime through a series of measures. Their tireless efforts have borne much fruit with the crime index on the decline. However, they need the contributions of ordinary people to further combat crime. This is when the residents’ committees steps forward and voluntarily offers themselves by going through the application and approval process for the installation of the barriers and boom gates. Their initiatives complement the police duties by engaging qualified and well-trained guards to man the booths and carry out patrolling tasks in the neighbourhood as outlined by the committee. Many residents who stay within the gated and guarded community will attest to the difference in crime rates. When easy access is denied to neighbourhoods, strangers including potential perpetrators will not carry out their plans with ease. In the process of manning the booths, certain minority residents are inconvenienced but the wishes of the silent majority should be respected and upheld. After all, they are the ones who contribute financially to the maintenance of such facilities and directly benefits everyone, including those non-contributors. I am a good testimony and thus a strong proponent to the benefits of such gated and guarded community. My former house in Jalan Nibong 29 in Taman Daya, Johor experienced break-ins and attempted robbery but since I moved to the gated and guarded Taman Mount Austin or Austin Heights, Johor Baru there has been no such crimes. This is due to the well-trained guards engaged by the residents’ committee. Let not a few deviant voices defeat the efforts of the majority. The RA has worked tirelessly, especially our Chairman, to get everything in place is not an easy job. The RA has faced ‘strong barriers’ from within and from outsiders as well. Now that our guard house is fully ‘established & legalised’, the RA is now in the process of getting G&G scheme approval from the Majlis. Thanks again to our Chairman’s efforts. 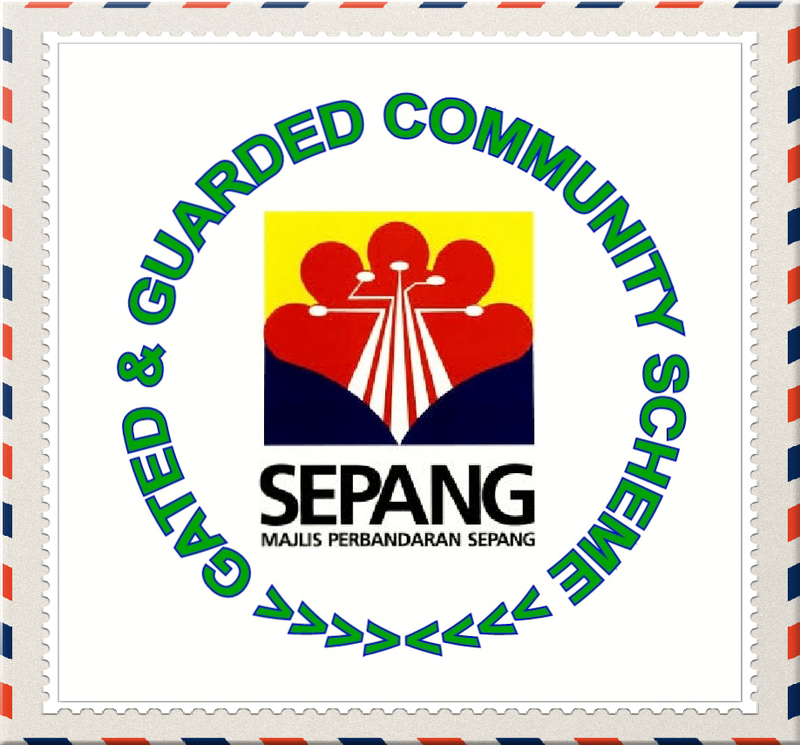 In Malaysia, a “Gated and Guarded Community‟ generally refers to a residential community with secured, gated and guarded surroundings. It can be a building (condominiums and apartments) or a cluster of houses which is surrounded by a fence or wall on a perimeter, with access being limited and controlled with certain security measures such as guards, surveillance patrol, motion sensors on the perimeter fencing and 24 hour surveillance CCTV. Guardhouses and gates are usually erected at the entrances and visitors are required to identify themselves or register at the check point before they are allowed to enter the area after acquiring confirmation from the respective house owner. Though not all housing schemes in Malaysia are automatically gated communities, residents can choose to form one on their own. These residents would pool together resources to hire their own guards and build their own gates and protective barriers. Gated and guarded communities are becoming a more common sight in the middle-upper class Klang Valley residential areas such as USJ, Bandar Sunway, Damansara as well as Kota Kemuning areas. The G & G concept has in recent years become a popular trend too in Puchong vicinity landed residential development like Bandar Puteri, Tasik Prima, Melanti Jaya, and Taman Putra Prima.